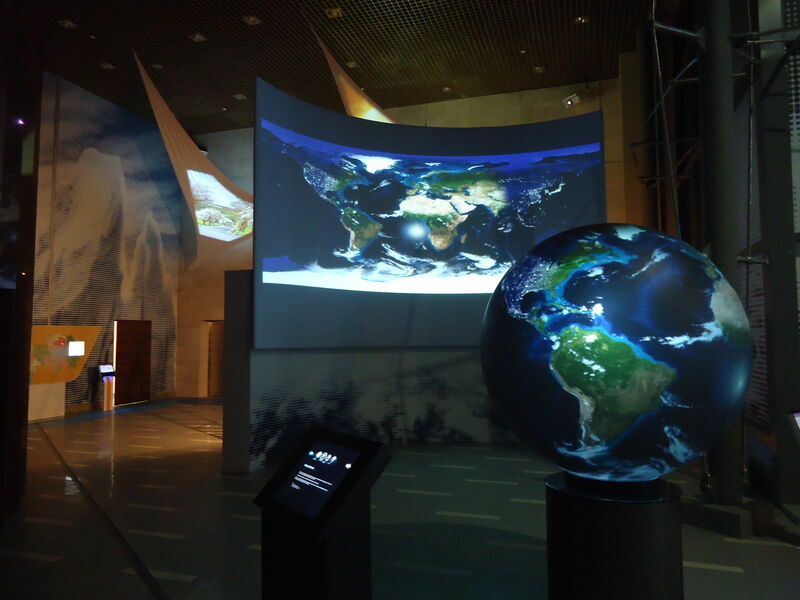 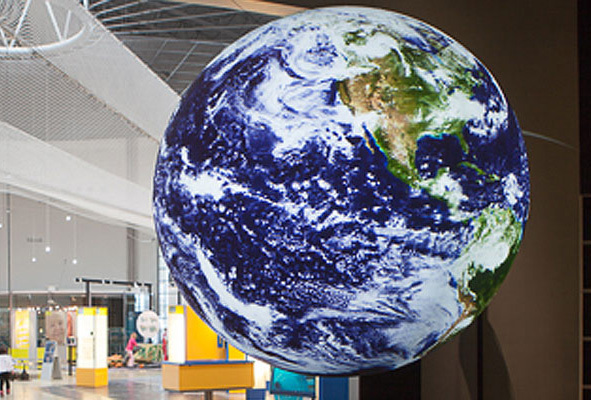 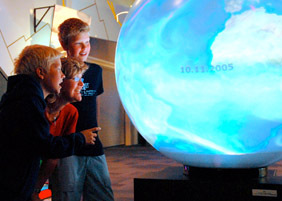 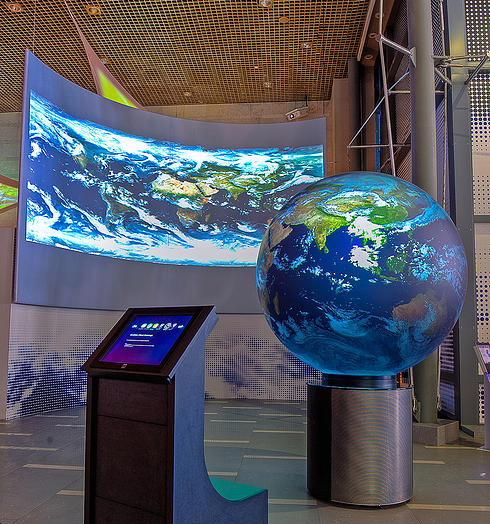 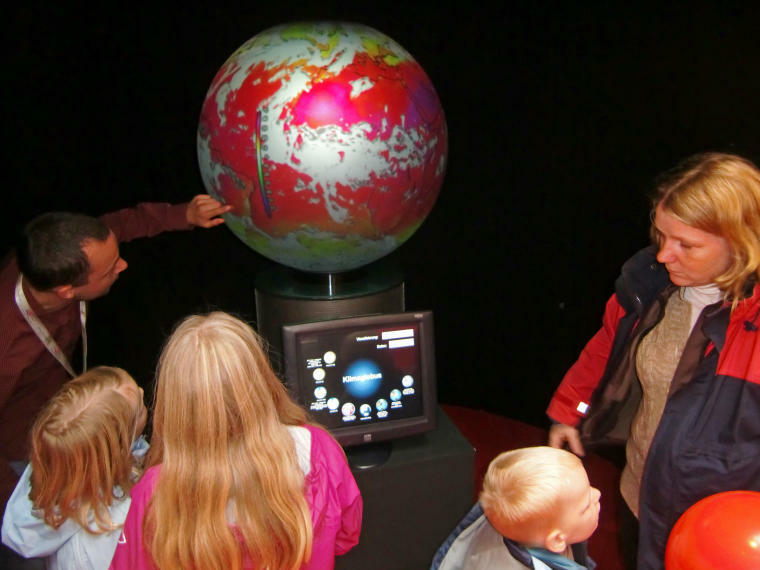 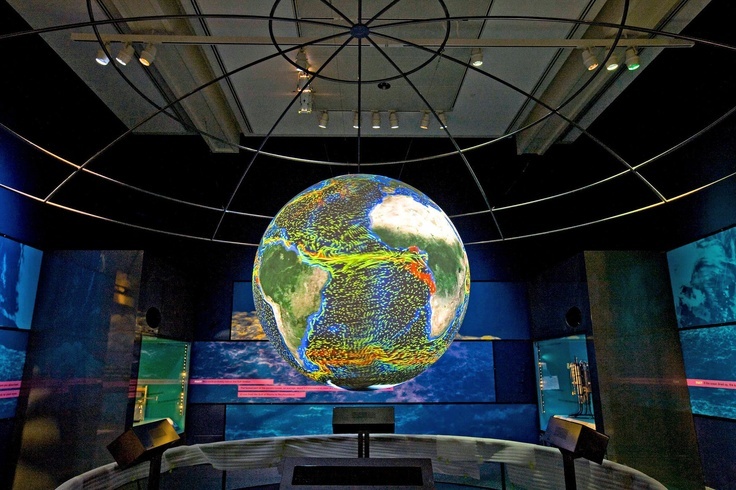 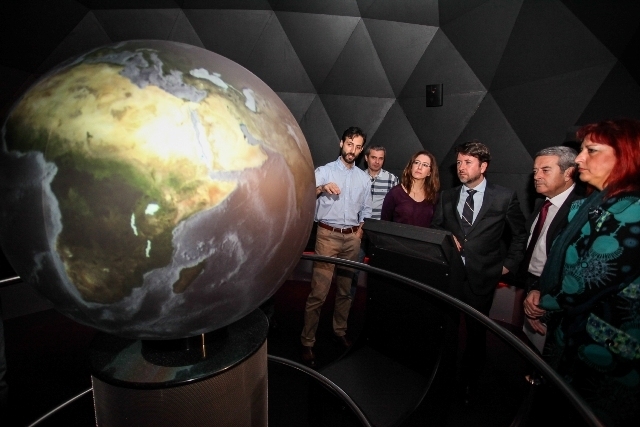 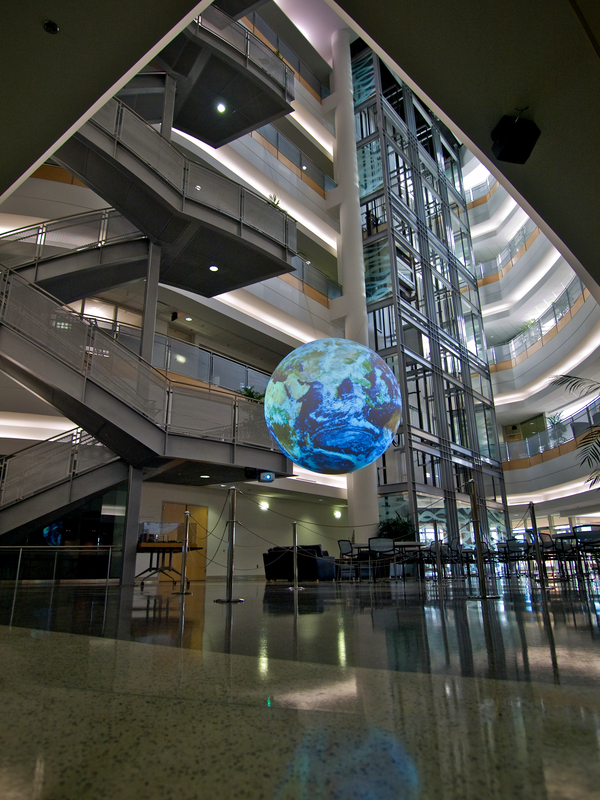 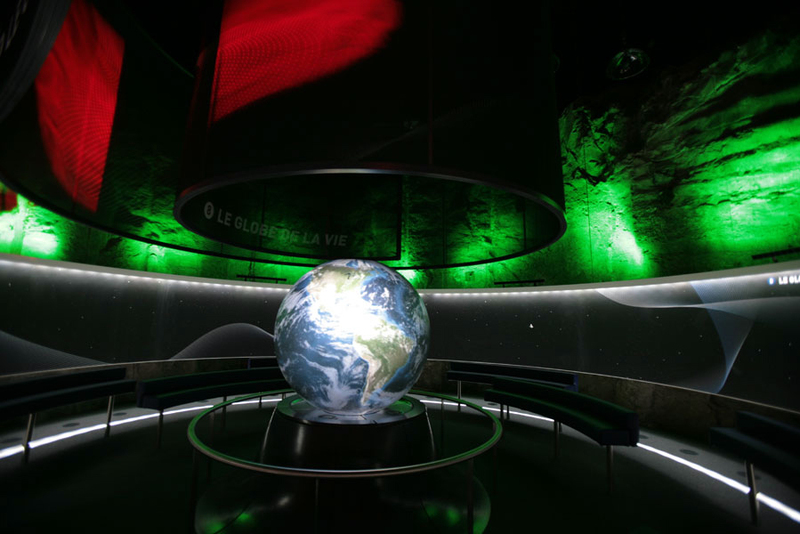 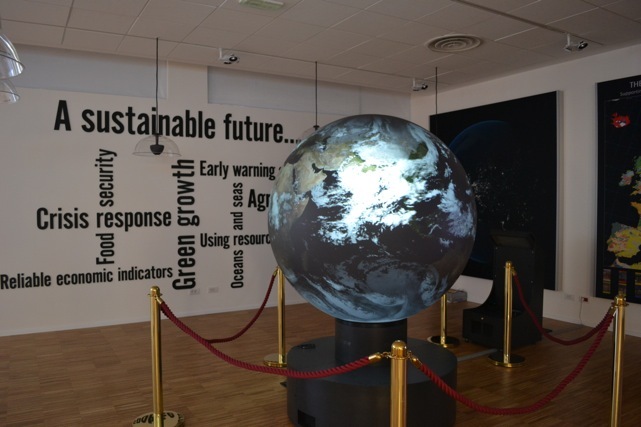 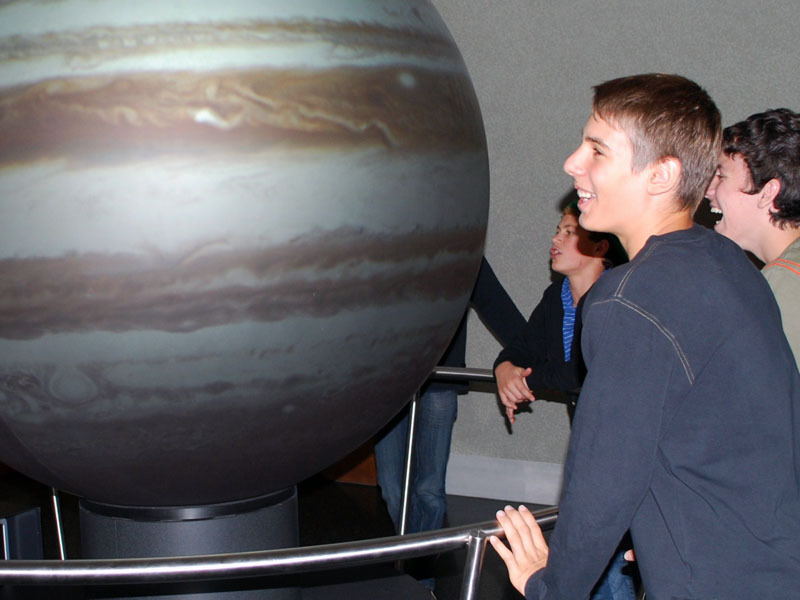 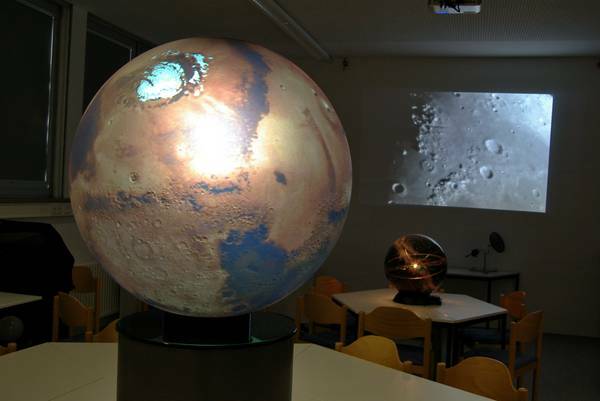 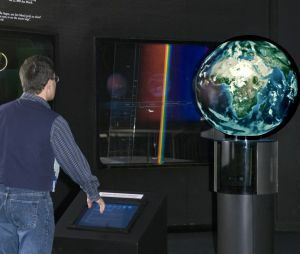 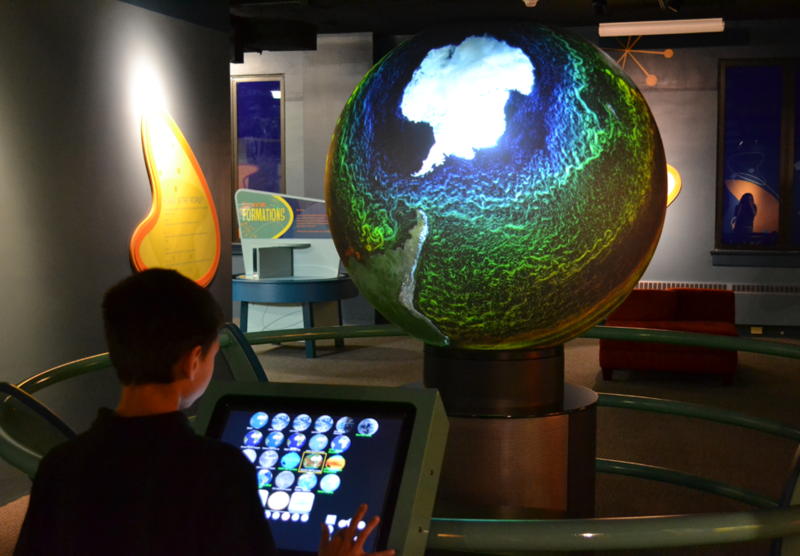 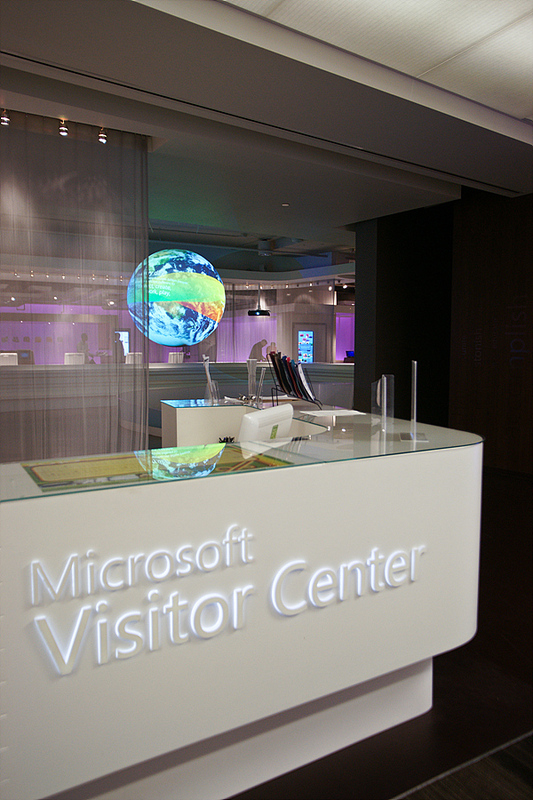 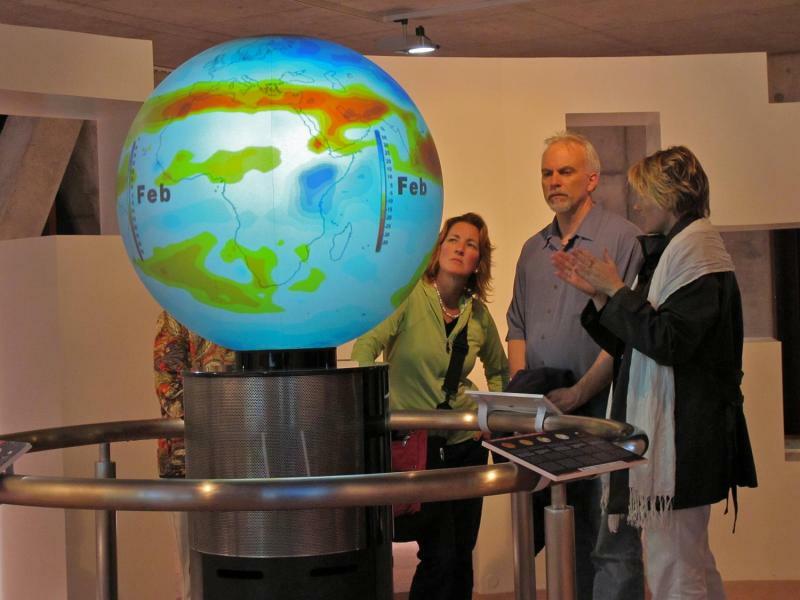 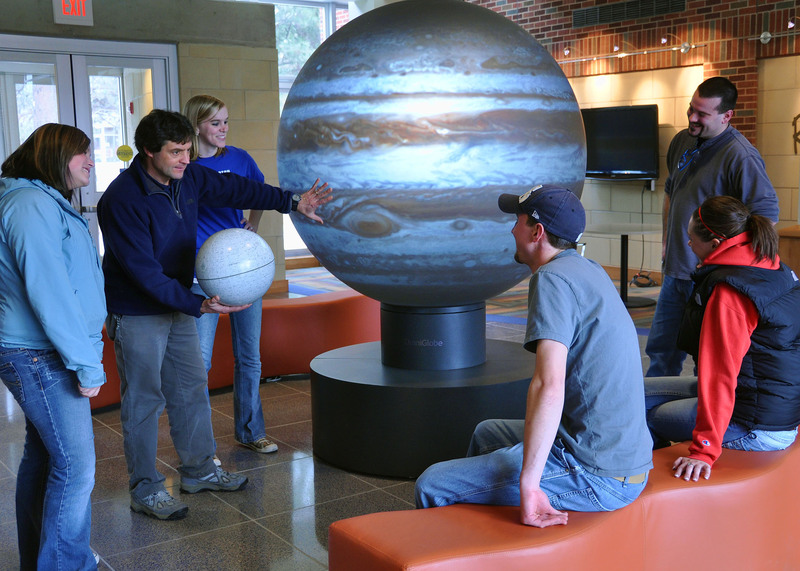 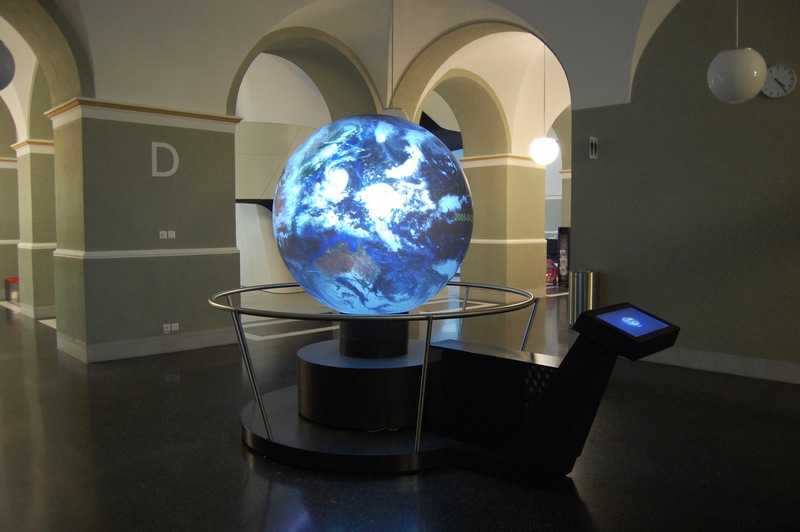 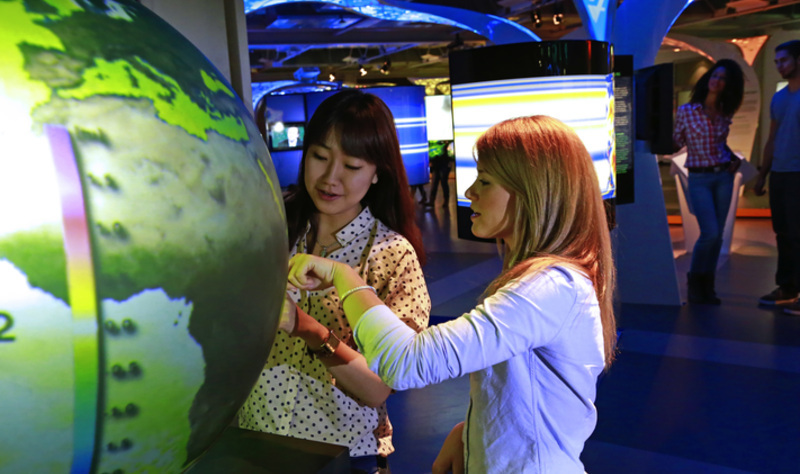 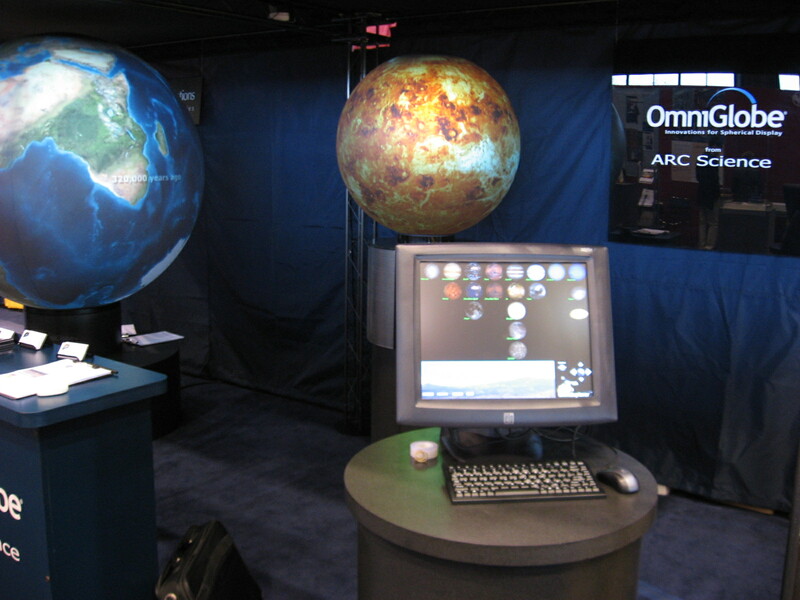 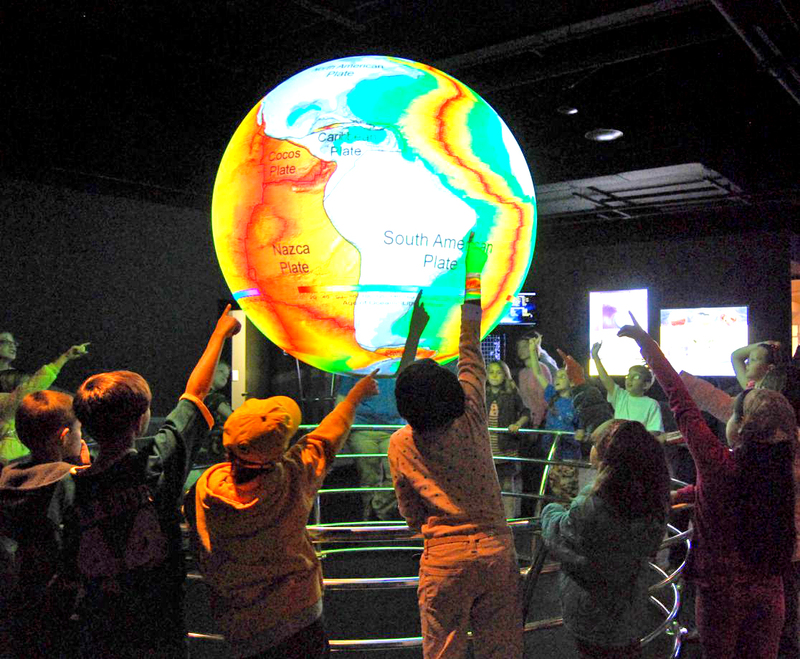 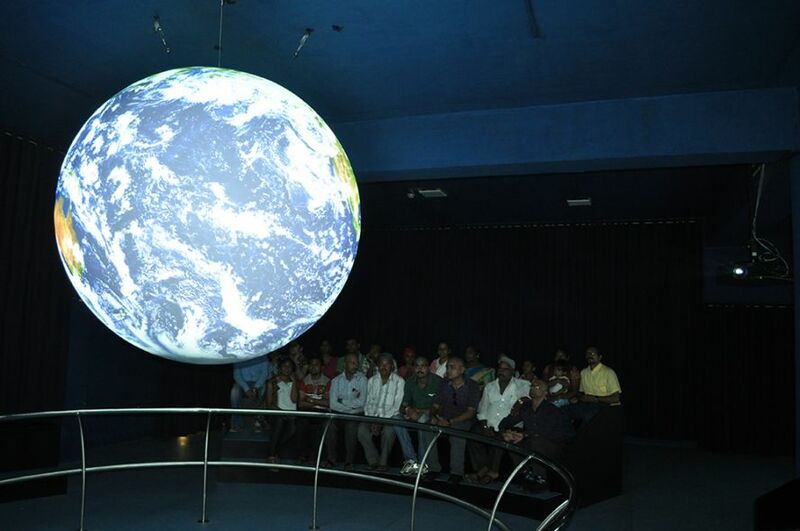 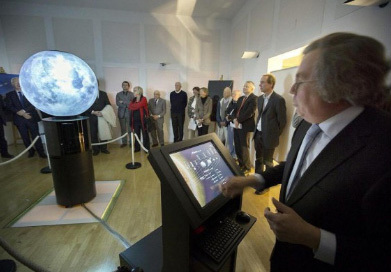 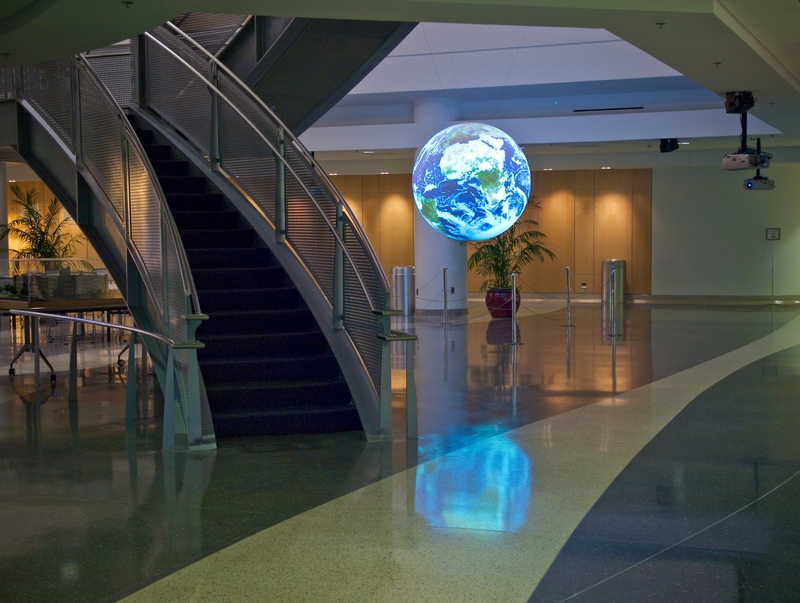 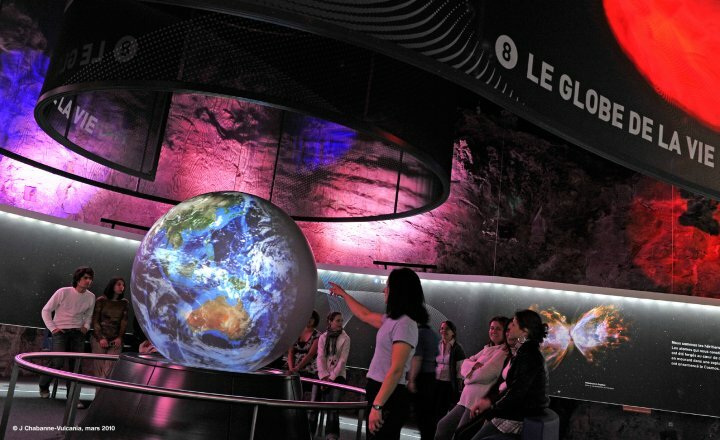 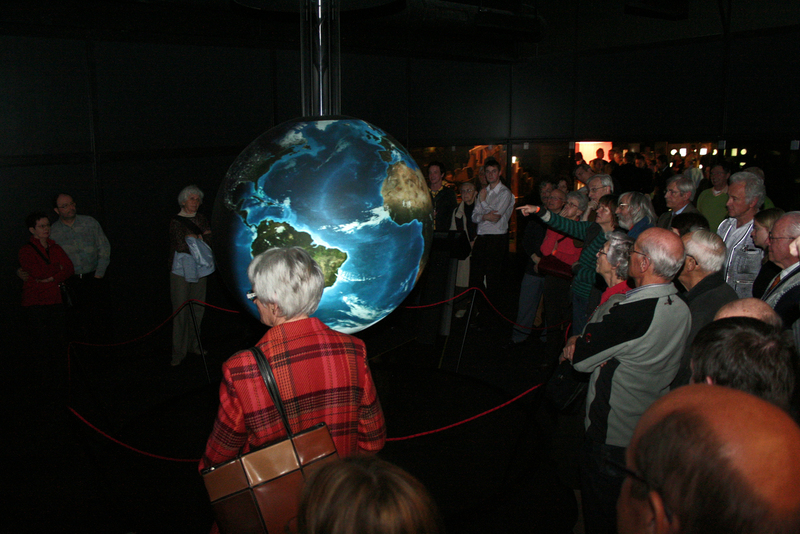 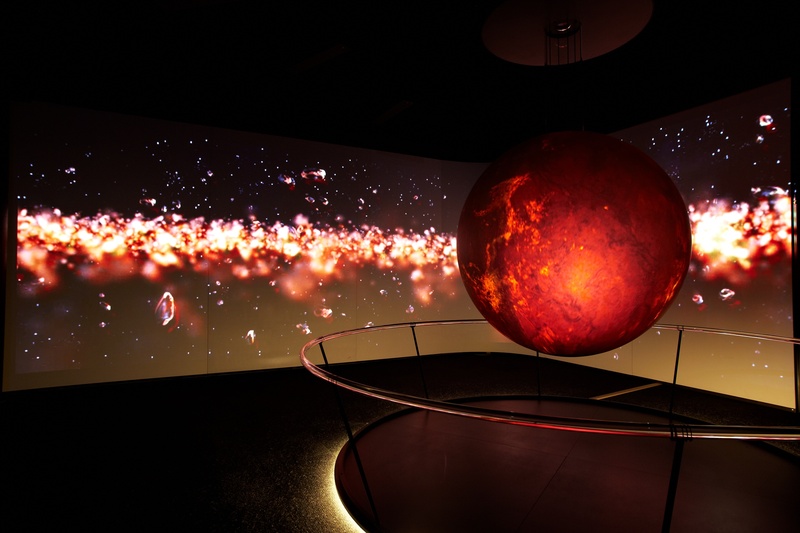 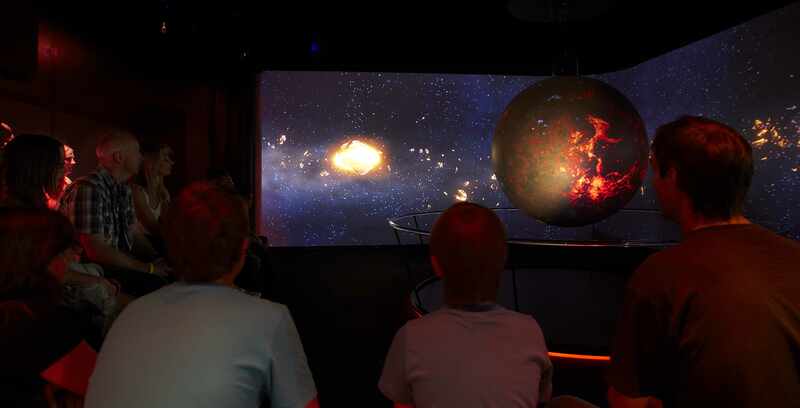 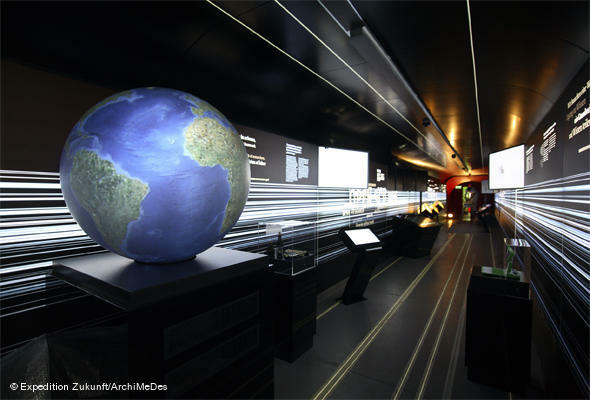 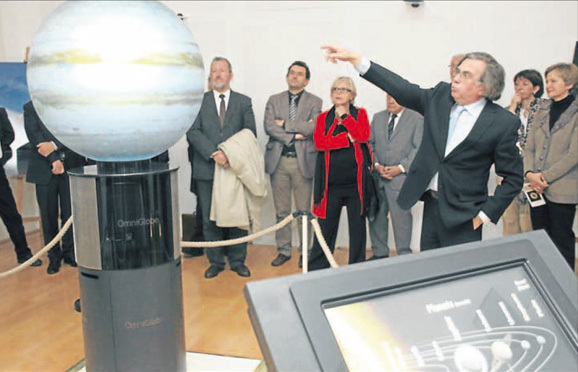 OmniGlobe® systems are based on an inside-projection with one or two beamers for projecting a world map through a hole at the sphere’s bottom or top via an optical system onto an acrylic glass ball. 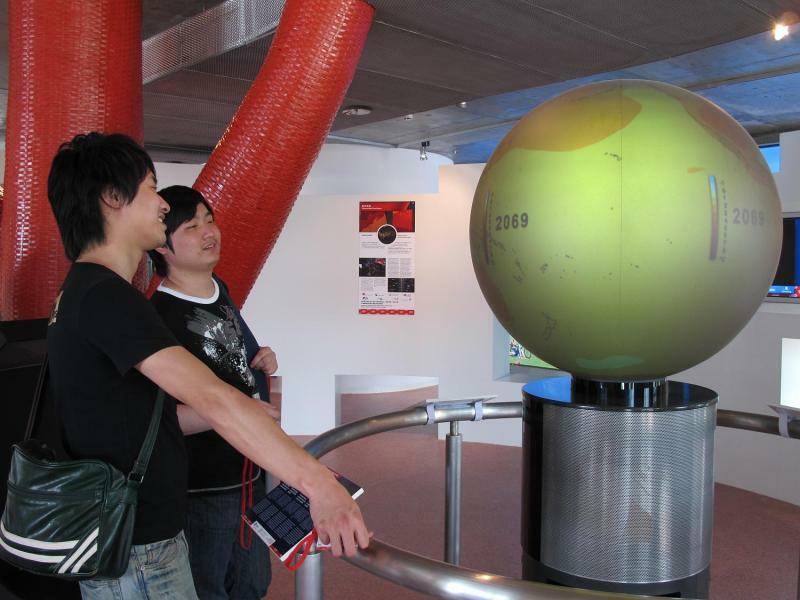 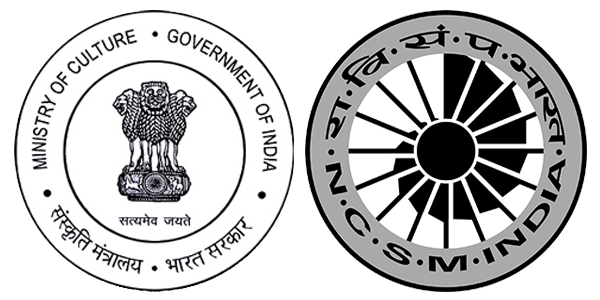 The optical system is based on a patented convex mirror assembly. 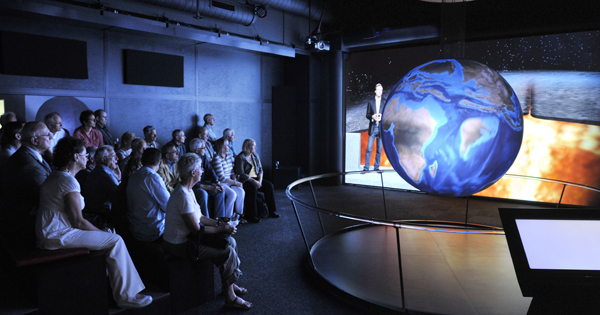 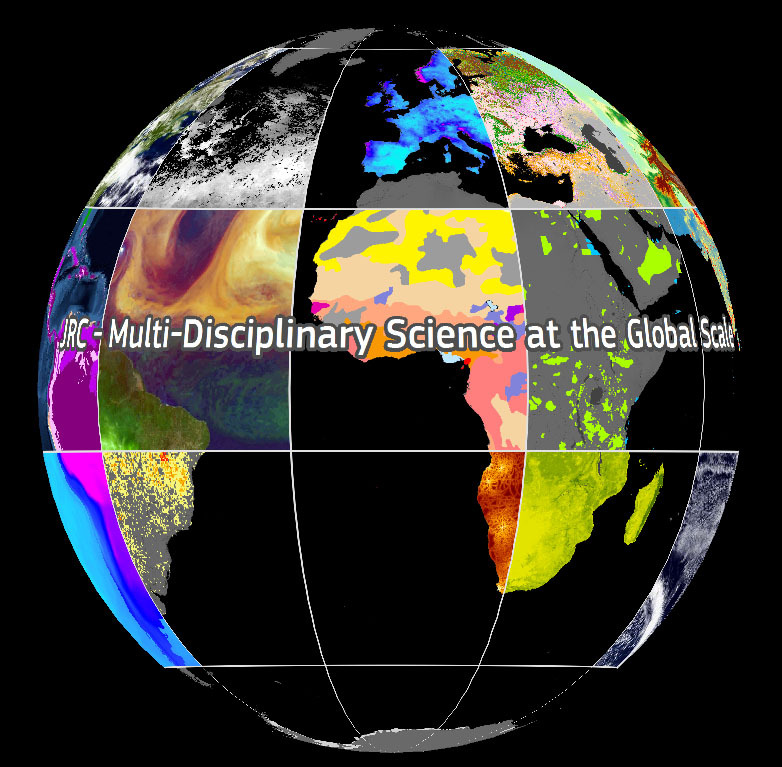 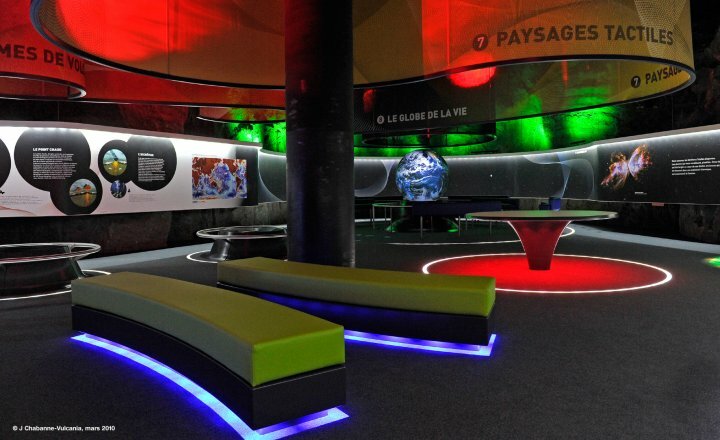 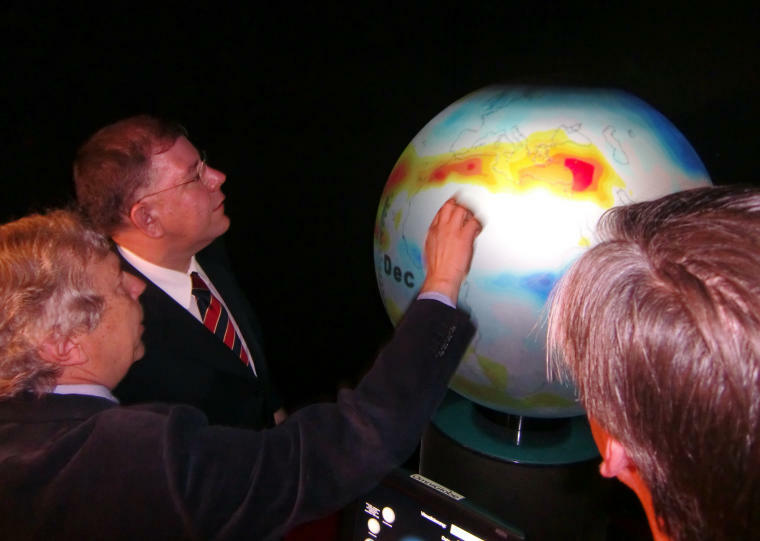 Science On a Sphere® systems consists of four beamers positioned along the sphere’s equator and as an option up to two additional projectors for North and South Pole regions, depending on possible viewing angles and room environment of our customers.